The Oaks gets its name from the gorgeous 70-plus year old oak tree that dominates the big beer garden. Relaxing in the shade of this ageing beauty is the best way to enjoy an afternoon or evening at The Oaks, but this venue is definitely not a one-trick pony. The 70-year-old oak tree dominates the beer garden. The first thing you notice when you arrive at The Oaks is that this place is a beast, sprawling as it does across a big chunk of Military Road real estate. Four bars offer a choice of drinking experiences, while there is a host of food options to choose from. From the art deco style of Nineteenthirtysix to the relaxed old-school feel of the Cue & Cushion, you can always find somewhere quiet to have a laid-back drink, or somewhere with a more buzzing atmosphere if you feel like getting rowdy. 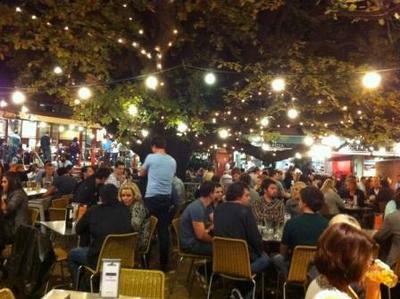 As you'd expect, the beer garden is the most popular location with punters and can get pretty lively over the weekend. As far as prices go, drinks are about average for a north shore establishment. The range of food on offer is also a big selling point. While the cuisine at The Oaks is a cut above your basic pub meal, it's nothing too fancy either. 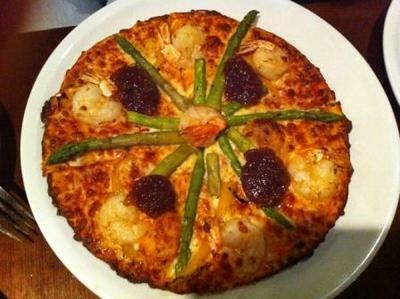 The Gourmet Pizza Bar is always well patronised and serves up more than 20 different toppings. The generously-covered Oaks Deluxe goes down particularly well on a big night, or even as a recovery lunch the day after a big night. If you're feeling especially ravenous, start off with the mixed mezze plate before tucking into a pizza. There are more than 20 gourmet pizzas to choose from. Meat-lovers are well catered for at the Steak House, which is perfect if you're one of those people who always insists on being in charge of the food at any backyard barbie. DIY-enthusiasts can pick up the tongs and cook their steak just how they like it on one of the public barbecues, so you can't have any complaints if it's not cooked to your liking. A grass-fed scotch fillet will set you back $25. If you're in the mood for seafood, mussels done five different ways should whet your appetite. A pot of these come with fries and Dijon mustard mayonnaise, and will set you back $25. The Oaks offers a curious mix of history and a hint of "British-ness" (jug of Pimms, anyone? ), but combines it with a refreshingly relaxed and unassuming atmosphere. Whether you're enjoying a game of pool upstairs or just knocking back drinks and a pizza under the branches of the oak tree, you can't help but feel that people will continue to meet at this charming venue for many years to come. Your review evokes a sense of nostalgia for me Tim. I loved The Oaks when I lived in Sydney many years ago. Glad to hear it's still going strong.